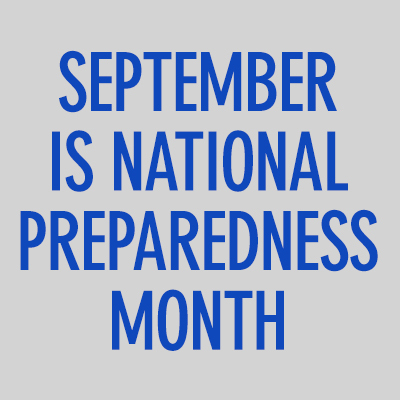 ← National Disaster Preparedness Month – mid-month check-in! We neglected to post this during Week 2 (our apologies…but perhaps a good reason to sign-up yourselves, if you haven’t done so already). The following, Be Disaster Aware: Protecting Your Business, is an important message that we don’t often hear. Protecting digital data and taking other precautions is important for all of us. We’ve attached it in .pdf format here (National Preparedness Month – Protecting Your Business) and as a graphic below. This entry was posted in Announcements, Earthquake Preparedness and tagged National Preparedness Month, preparedness steps, Protecting digital data, Protecting Your Business, resources for small businesses. Bookmark the permalink.